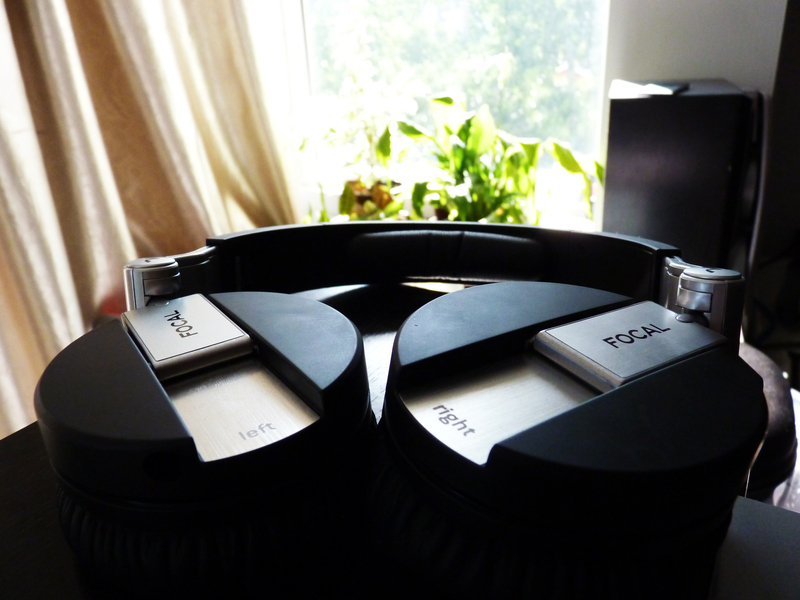 I have recently found a very nice headphone which really took me by surprise: the Focal Spirit One. As I said in one of my previous posts, I really connected with the guys from Jack-fi as they are one of the most passionate people I know in audio. Sometimes I go to their store and they are kind enough to let me in one of their audition rooms and listen to very nice speaker system. The store is on my way to the University, so when I have some time, after I finish teaching or other stuff at the University I pay jack-fi a visit 😀 . When I went there last week, I found another guy in the audition room and we started listening together to a pair of Piega Premium 5.2 paired with a Jadis Orchestra amplifier and a Naim cd-player I think. While listening to the music I started talking with the other guy auditioning the system. We hit it off and found out that he has a pair of Focal Spirit One which he praised a lot. Ok… I was curios, so he lent me his pair for a few days. 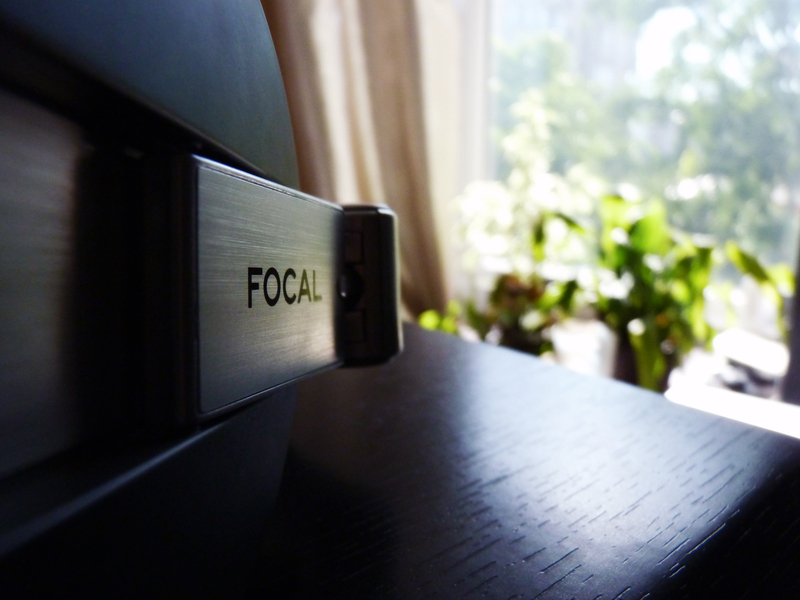 I never gave this headphone any attention before, because I never heard of Focal before. Hearing some of their speakers and talking with the guys that knew a lot in this domain made me understand that Focal is a very respected speaker company, one of the best there is. Well … after the wonderful audition at jack-fi, I went home happy with a new toy to test and even with the cd containing the Jacques Loussier interpretations to test it with my headphone system (Burson Conductor + Audeze Lcd2) and see how it sounds compared to the Piega speakers. Ok, I began to understand the limitations of headphones in general. That doesn’t mean I don’t like them any more. I would never give up on them as they also have some very nice strong points like details, intimacy, etc. Then I opened Focal Spirit Ones’ case. I found 2 detachable cables, one for smartphones with volume control, and one for normal usage, a 3.5 to 6.3 jack converter, a small bag for easy carrying and of these. The cable is not as thin as I have seen at other headphones and has a nice and sturdy feel. When I first put them on the head I observed they have a very good grip and a strong clamping force. I started listening to them. My first impression was not so good, and my ears started hurting. The cups aren’t so big and they apply pressure on the ears. I don’t have big ears, but they still get pressed by the cushions. I never had problems with a headphone before. People said Grado RS2i wasn’t comfortable, but I wore them with no problems for hours, they said LCD2 is too tight and heavy, I had no problem with them whatsoever. Well, for the first time my ears really felt uncomfortable with the focals. I did not like it and put the headphones back into their box. Started listening to some Aurvana Live and thought it sounds better. After a while I thought I might give the Spirit One a second chance. I put them on and started working. They started growing on me. After a few hours I realized I like them a lot. They have a lovely PRAT and a very interesting sound. It has a fast and very engaging sound. The bass is very fast, punchy, well extended and tight. The mids are lush and have enough details to make you get goosebumps on a nice song. The treble is ok, it has the necessary spark, but is not hot and it has no sign of sibilance. The sound is a little congested but it is not bothering me that much. After a few hours I realized the grip and the tension in the pads loosened up and the comfort wasn’t a problem anymore. I prefer a strong grip to make a good seal, instead of the loose one AKG K550 has. Speaking of the seal, the Spirit One offers a very good one and thus a very good isolation from outside noise. I started a little comparison to k550. I felt the AKGs to be technically superior in some aspects, with a wider soundstage, more details and better instrument separation. However, I found myself listening more with the Spirit Ones and forgetting about the K550. I managed to fix almost all of them. Well, in 2 days, the headphones convinced me, I thanked the friend who lent them to me, I gave them back and went to Jack-fi to buy a new pair for myself 😀 . I bought the headphones and started to make a more thorough comparison to AKG K550, to see if I would keep them too or If I would sell them. All the tests were made with Burson Conductor on low gain . On spirit one, the sound was warmer, the voice is more natural and present on some level though not as resolute. On the K550 the treble was more detailed and the soundstage wider, but there was sibilance present which is annoying after a while, and it can get tiresome. Really love the PRAT and the bass with the Focals. The bass is very present, well extended and fast. These cans do know how to rock. Again the sound was more opened and more detailed. The voice had more body, and it was more resolute but not as natural as with the Spirit One. The treble is hotter on K550. I enjoyed this song more with Spirit One. Even if the Spirit One is more congested than the K550, i enjoyed the overall performance on this song. The sound was natural, the gambo more present in a way than on the K550. However the akgs won on this song due to the bigger soundstage, better instrument separation,more details and, also the instruments had more resolution. The k550 is a better performer overall with classical music than the spirit one. This song has some awesome bass on it. The bass on K550 was excellent and even if the song was very demanding, the akgs did not have a problem with it. The bass hit fast, low and threw an awesome punch. The song was very enjoyable, but at the end when the instruments and sounds got crowded, I felt it necessary to lower the volume a little due to the hot treble. The Spirit One was awesome with this song too. The sound was more meaty and the bass had more impact. I love the bass control on the spirit one. The sound was very very engaging. Again the voices were more natural on the focals. I ended up liking the Spirit One more on this one. The Spirit One gave the voice a very natural and warm presentation. The guitars were amazing and the overall sound gave me goosebumps. The AKGs presentation was nice too. The sound was more opened again and it had more details. The voice had a better resolution and you could hear the sound coming from her throat, but it was not as natural as with the Spirit One. Both sound presentations were very good but I still preferred the warmer and natural approach. The voices on spirit one are very enjoyable, but they could use more texture and sometimes can be a little recessed. 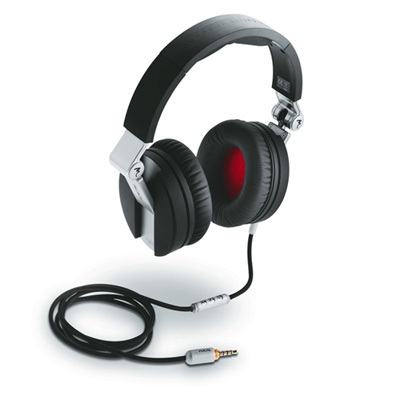 Ok…The sound very opened for a closed headphone, I can give AKG that. The bas was nice and impactful, but the treble was very annoying on this song. It was too hot and very very sibilant. On Spirit One the song was just fine. The sibilance was almost gone and the treble was in acceptable levels. The midrange was very nice and more present, as the treble did not ran over it as it did on the k550. The bass was as always very good and engaging. Really loved this song on the Spirit One. When I bought the AKG K550, I bought it for office use and it did its job very well for a while. However the hot treble can get a little tiresome sometime and doesn’t help you to concentrate on your work. Another thing I dislike about the K550 is the seal. To get a perfect seal I had to put an elastic over my head and that is not cool :P.
One other thing is portability, and their size doesn’t make them a very portable headphone. Whenever I went somewhere other than my workplace I preferred taking my Creative Aurvana Live because they were smaller. They are very good headphones and one of the best closed ones I have heard. I haven’t heard any other closed headphone to have such a good soundstage. It also has a lot of details and the midrange is very present. The bass is very well extended, fast and deep. I actually think that it has a little more sub-bass than the Spirit One. The Focal Spirit One was a very nice surprise. I did not expect it to perform so well. It has a wonderful prat, nice fast, deep and well extended bass. The midrange is present engaging. It also has a meaty sound which I love. The seal and grip are very good and provides a very good isolation. The treble is ok and not hot or sibilant at all. The sound is very energetic and engaging. It has a very well balanced sound. If you remember, I have made a comparison between the akg K550 and the sennheiser momentum, and overall I preferred the K550, because I found the momentum to have too much bass for my tastes. The sennheiser momentum sound is similar to the Spirit Ones‘ and maybe has a bit more detailed sound and more refined, but the bass on spirit one is much tighter, faster and the overall sound is more engaging. I really wanted to like Senheiser Momentum more than the AKG K550, and buy a pair, to solve my portability and seal issue, but that did not happen then. On the other hand, after 2 days with Focal Spirit One I decided to buy one :D.
Now I have a very engaging headphone which I can carry with me easily wherever I go. The seal is good and I think they can be used on an airplane with no problem. The Spirit One sounds very nice from Fiio E17 and my Galaxy S smartphone as well. 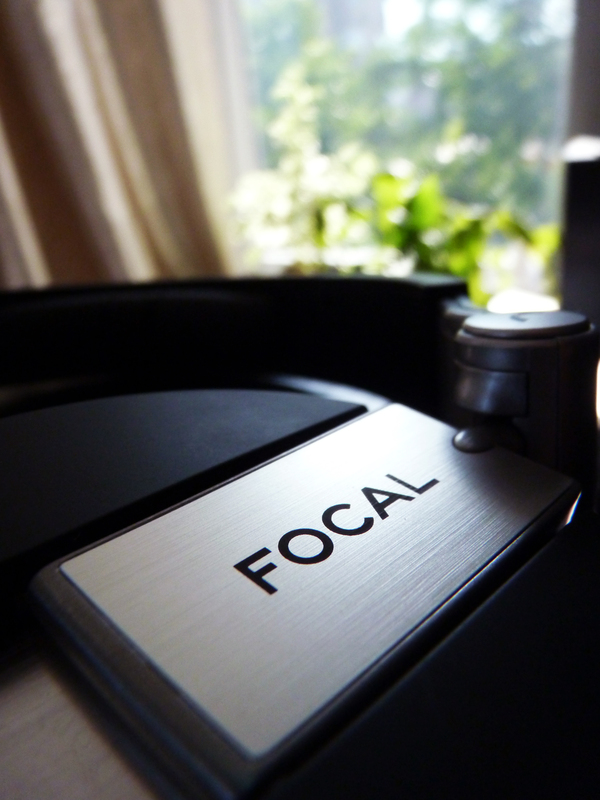 For their first headphone on the market, Focal really did a very good job and I must congratulate them for it! Their new titanium driver really brings something to the table and it feels it has a lot of potential. I am anxious to see what new headphones Focal will get out, as I am sure this is not their last one. Thank you Su. Glad we share opinions! I have a pair of these cans in White, I carry them everywhere I go. Like them a lot, and yes the clam force will loosen up a little bit after you’ve used them for a while.